China under the Qing Dynasty in 1836 is in a technologically backward state, but it is boasting an enormous population and abundant wealth. The former center of Asian civilization is even lagging behind Japan in development. Initially its only real claim to being a significant regional player is its large territory and numerically powerful army. But upon embracing Westernization and becoming a civilized nation, it is basically guaranteed that China will become a great power in its own right. Surrounded by expansionist European empires, it is essential for China to maintain good relations with potential aggressors seeking colonial concessions, most notably the United Kingdom and Russia. 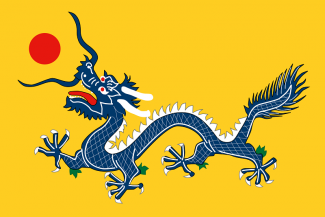 China has the biggest potential to be the most powerful nation in the game, even bigger than Great Britain. China starts divided into substates, which are vassals of the Chinese Empire. The substates are: Guangxi, Yunnan, Xinjiang, Manchuria, Mongolia and Qinghai. They will be annexed by China once, China westernizes unless they are completely independent. Tibet is a vassal of China, but not a substate, and will not be annexed by westernization. The substates can actually be a bonus for China, as the substates each have their own national focus, which they will hopefully use to promote clergymen and/or soldiers. Early on one must prioritize westernization. Accept every offer of military missions, which increase your research rate at the cost of greater militancy. Allow foreigners to come and go as they please, and keep from souring your relations with the Great Powers. Stay friends with them, if possible, even at the expense of militancy. The two biggest threats to China is militancy and great power invasions. China can see rebellions of literally millions of people. In order to keep the people happy and militancy low, keep the taxes low. It bears repeating that China should never have money problems. It is wholly possible to be making money hand-over-fist, with taxes as low as possible, with spending as high as possible, with a -25% tariff. Implement changes slowly over time to prevent the economy from plummeting. It is quite satisfying to amass great wealth, while even the poor have their needs more than taken care off. A terrifyingly high rate of recruitment for Chinese Anarcho-Liberal rebels. Membership can grow into the millions so keep an eye on them. Anarcho-Liberalism isn't so bad for China, but the hit to Prestige will be hard on the effort to Westernize. Take options to lower militancy when a violent uprising can be avoided. Beware the Great Powers; at first, any one of them can take down technologically-starved Chinese soldiers by the thousands. Despite its overwhelming numbers, China's military starts a world behind the technical advancement of Europe, and it takes many years of dedicated research to catch up. Westernization should be pursued with vigor. Korea make good candidates for conquest which gives research points. Heavenly Kingdom. Especially after 1865 it only has a mean time to happen of 1.2 months. Neither substates nor allies will participate in the war, and it is usually fought out between the two alone. Heavenly Kingdom should be relatively easy to beat, and will only pose a problem if it comes at a time, where China is severely challenge from another angle. Since it has such a low mean time to happen post 1865, it might be a good idea, to actively provoke it by raising consciousness when China is fully prepared, since it can only happen once. Once China has westernized, the substates will be annexed, which will only add to Chinas immense population and army. One should be aware, that when the substates are annexed, their armies are deleted, so one might open a tiny window of opportunity if Chinas proper armies are not trained. Make sure to have a sizable standing army when China westernizes. China has an incredible capacity for industrial development. With the wealth flowing into the treasury, building new facilities will be a simple matter. After Westernizing, there will be many thousands of unemployed craftsmen, so build factories quickly and liberally. China's industrial capacity is limited mostly by factory building time more than lack of labourers. Avoid building canned food factories, as they take away food, which cause the population to revolt. Russia is a common first foe, likely to attack through the Sofianova region in the earlier years, so do not show weakness there. With all the soldiers at China's disposal there should never be an undefended border. The AI is often intimidated by vast numbers, even if their technology is far superior. China's population is big. In case of an attack by a foreign power, don't hesitate to throw your entire army at the threat. China can build a new one. By 1850, the population should have enough soldiers for upwards of 1000 standing brigades, with some 900 reserve brigades in an emergency, if not more. Sooner or later you should become a great power. After industrializing you should be ranked first, when your Industry score flies past Great Britain's without looking back. At this point, the choice is yours. As far as unstoppable juggernauts go, China can certainly be one. You can amass countless brigades, but will stay far behind Europe technologically until you focus on the military. If you aren't friends with Great Britain or Russia, make sure you're able to fight them before you tick them off. Don't bother making a huge Navy until you have steamships. Still, a small fleet of sailing ships is recommended for transporting invasion forces and enacting blockades. Such a fleet proves especially useful against Dai Nam. You will never employ all your craftsmen, no matter how many factories you build and expand. Give one a job, three more come of age. Russia has usually taken Outer Manchuria with the decision The Peking Convention. When westernized China should have no problem to take the province back. Medicine might be a priority to even further boost Chinas enormous population and avoid losing them in war. Otherwise Cultural tech to give more National Focuses and catching up with industrial and navy techs might be priority. 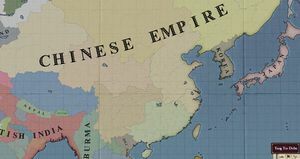 The Chinese navy starts out incredibly weak, so it must become the immediate focus after westernization if a naval China is to become a viable option. Your army will mostly take care of itself due to your massive population and the sheer size of it should be enough to push around most smaller nations, even if your army is outdated. One should therefore prioritize Naval technology over Army technology. A partially neglected army can be brought up to speed fairly quickly, but a neglected industry can prevent China from growing to its full potential. In addition to researching your navy, build as many naval bases as possible. Yunnan will have the fourth-largest. Even though it's in control of insane amounts of manpower, it's lacking the proper technology and will do so as long as it's not westernized. Russia and Great Britain can easily take one or two states if they are provoked. If China ends up in a war with one of the two nations, it should NOT occupy anything. Quickly take control over the substates troops as they will wander into enemy territory and will be eradicated. But all other uncivilized nations besides Japan will not stand a chance. On top of that the decision, Burn the Summer Palace requires a great power to control Beijing during a war. In Vanilla, China is one big unified country without the substates. The substates are instead called Cliques, and they are releasable nations. This does however not make China an easier nation to manage. Tibet is also an independent nation instead of a Vassal, but on the other hand Korea is a vassal instead of an ally.